Through social justice, is committed to making an impact on the lives and lifestyle of older persons in our community. Provides a leadership role in response to lifestyle, health and the financial expectation of older persons and their families. Commits to the investment in human resource management, to develop increased capabilities to meet future aged care challenges. Pursues opportunities to expand and develop through innovative, cost effective and affordable options. Holloway Aged Care Services recognises and values the importance of every individual in our community. 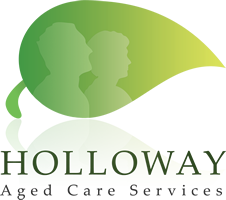 Therefore Holloway Aged Care Services is committed to caring for individuals through the provision of quality services.